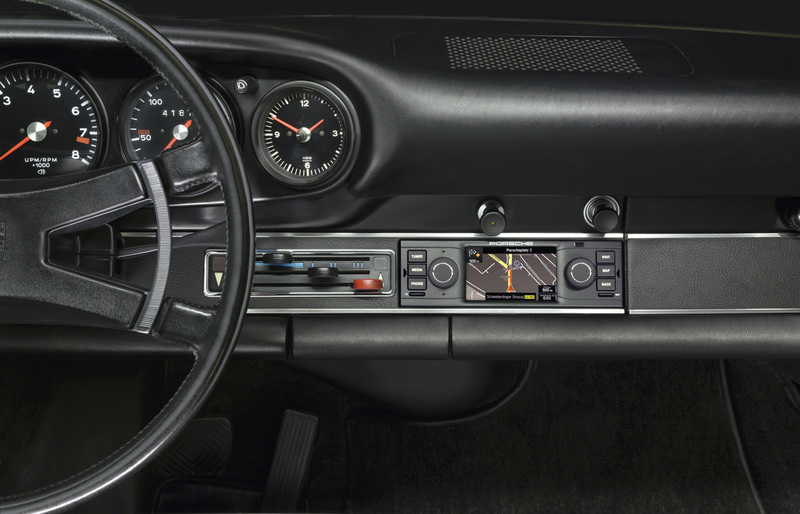 Classic on the outside yet ultra modern on the inside: the Porsche Classic Radio Navigation System. 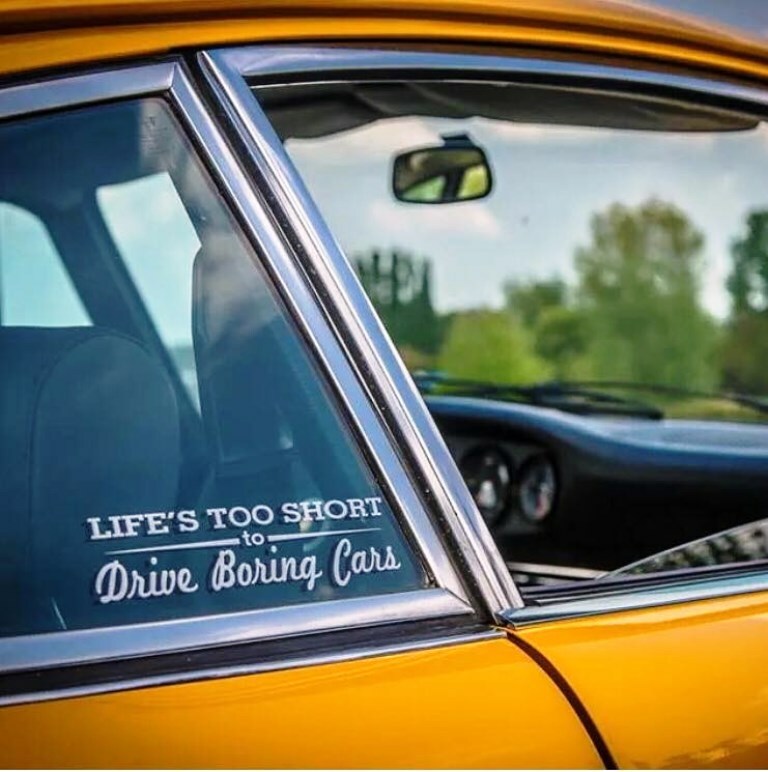 It is suitable for all classic Porsche cars with a DIN-1 slot. 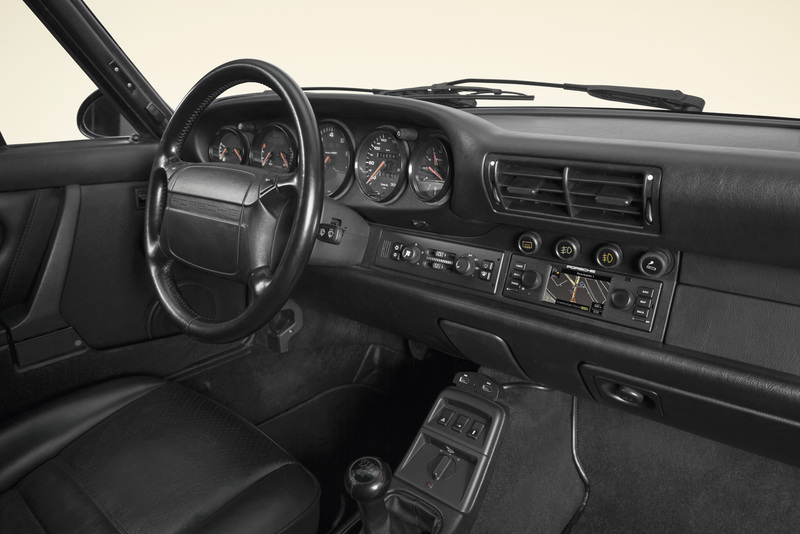 From the 911 F-model, to the 911 type 993, and for both four and eight-cylinder vehicles (excluding the Porsche 356). This short video clip points out the most important USPs: Map-Navigation, phone calls via bluetooth, the use of the USB port and perfect fitting into the dashboard. The new navigation radio comes with all the key features of today’s systems. In addition to low-interference radio reception and precise navigation, it has interfaces for a variety of external music sources that can be controlled from the display. A smartphone can be connected via Bluetooth. In addition, the classic radio not only has a built-in microphone but also comes with an external microphone. The integrated amplifier delivers 4×45 watts and can be connected either directly to the loudspeakers or to the original sound system using an optional adapter cable. Received this book in the mail this week from Pen & Sword Military books in the U.K., compliments of the author Karl Ludvigsen. I am so excited to get into reading it thoroughly. Have to read the book before making any conclusions or review. However, from reading the first chapter last night about the young automotive engineer and founder of the Porsche car company, so far sounds very interesting and well documented about him creating the first gasoline-electric hybrid vehicle (Lohner-Porsche). There will be more to review later on. 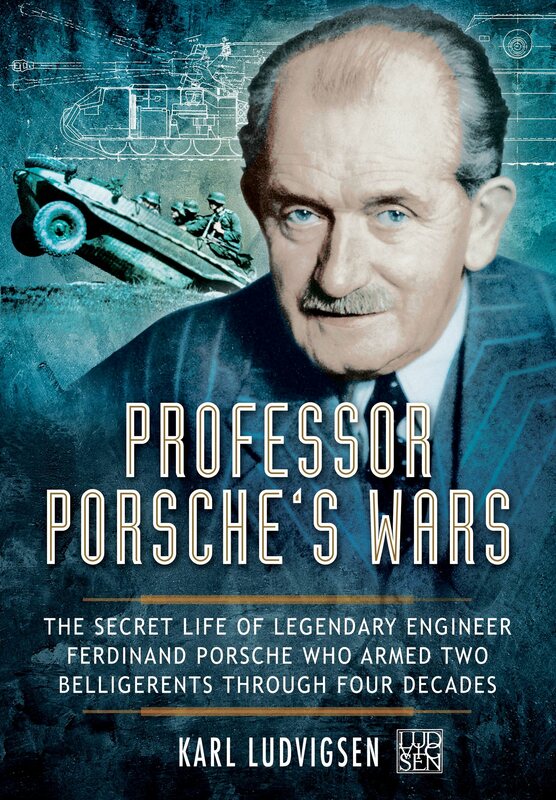 Definitely an in-depth and richly illustrated account of Ferdinand Porsche‘s little-known career as a military engineer embracing both World Wars. Providing insights into the creative thinking and working methods of one of the greatest automotive engineers. Karl Ludvigsen ‘s account confirms the pre-eminence of Ferdinand Porsche as a brilliant and prolific engineer, one of the most remarkable of his generation. In addition to his motor industry activities as an executive (with GM, Fiat and Ford) and head of a consulting company, Karl Ludvigsen has been active for over 50 years as an author and historian. As an author, co-author or editor he has some four dozen books to his credit. Needless to say, they are all about cars and the motor industry, Karl’s life-long passion. Since 1997 Ludvigsen has been drawing on the photographic resources of the Ludvigsen Library to write and illustrate books on the great racing drivers. His first title in this series was Stirling Moss ‘ Racing with the Maestro. He followed this with Jackie Stewart ‘ Triple-Crowned King of Speed and Juan Manuel Fangio ‘ Motor Racing’s Grand Master. Fourth in this series for Haynes Publishing was Dan Gurney ‘ The Ultimate Racer and fifth was Alberto Ascari ‘ Ferrari’s First Double Champion. Next came Bruce McLaren ‘ Life and Legend of Excellence and Emerson Fittipaldi ‘ Heart of a Racer. Also in the field of motor sports Karl Ludvigsen has written about road racing in America, the cars of the Can-Am series, the AAR Eagle racing cars, the GT40 Fords and Prime Movers, the story of Britain’s Ilmor Engineering. His introduction to At Speed, a book of Jesse Alexander’s racing photography, won the Ken W. Purdy Award for Excellence in Automotive Journalism. Other motors-sports titles include Classic Grand Prix Cars, a history of the front-engined G.P. racer, and Classic Racing Engines, Karl’s personal selection of 50 notable power units. Four of Karl Ludvigsen’s books concern the Chevrolet Corvette, one of them an industry best-seller. 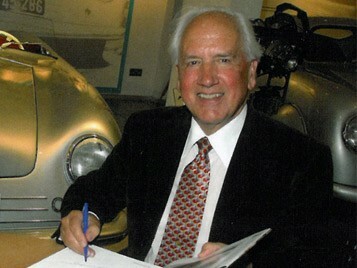 He has written three times about Mercedes-Benz, twice about its racing cars. His books on the latter subject have won the Montagu Trophy (once) and the Nicholas-Joseph Cugnot Award (twice), both recognising outstanding automotive historical writing. In 2001 he again received the Cugnot award from the Society of Automotive Historians for his book about the early years of the Volkswagen, Battle for the Beetle, a Robert Bentley publication. Karl Ludvigsen’s Porsche history, Excellence was Expected, is considered by many to be a model of the researching and writing of the history of an auto company. He has updated it twice in a three-volume format for Bentley Publishers for the new Millennium. He is the author of a series of monographs on great Maserati cars. His book BRM V16 for Veloce Publishing tells the story of one of the most controversial racing cars of all time. In The V12 Engine for Haynes he describes the creation and consequences of all the cars ever powered by the iconic vee-twelves. In 1997 Ludvigsen researched and wrote the catalogue for a special exhibition of Ferrari technological innovations on the occasion of the company’s 50th anniversary and contributed a major section to the company’s official 50-year history. He has updated this for the company’s 60th anniversary. Karl’s understanding of the Ferrari world combined with his Library’s holding of the Rodolfo Mailander photo archive to produce Ferrari by Mailander in 2005, a Dalton Watson publication. In 2006 with Dalton Watson Karl has published The Incredible Blitzen Benz, the story of six great record-breaking cars. In co-operation with publisher Iconografix, Ludvigsen has established the Ludvigsen Library Series of 128-page books drawing on the holdings of the Ludvigsen Library. The series now numbers 19 titles, including books on Indy racing cars of 1911 to 1939, the 1940s, 1950s, 1960s and 1970s, the Indy Novis, Chevrolet’s Corvair and Corvette, the Mercedes-Benz 300SL of 1952 and 1954-1964, the 300SLR of 1955, Porsche Spyders, Porsche 917, Jaguar XK120, XK140 and XK150, Land Rover Defender the Ferrari factory and American sports-racers: the Cunninghams, Chaparrals and Can-Am racing cars. More titles are in preparation. 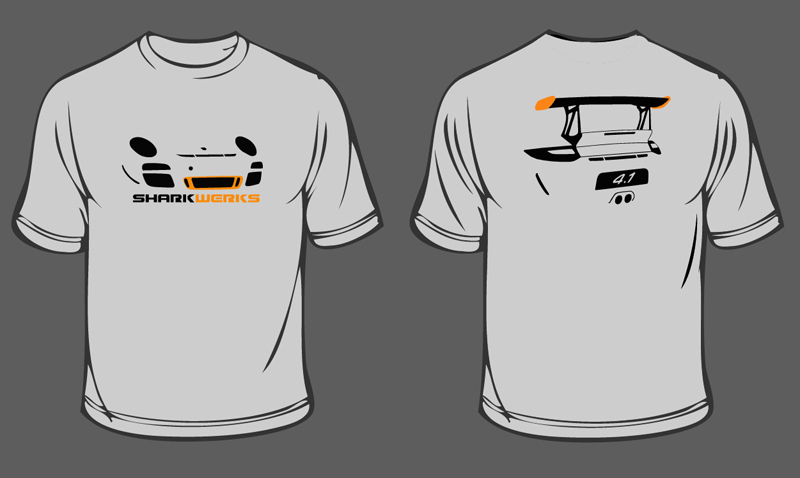 Finally Shark Werks has t-shirts available! Front features the Shark Werks logo and front illustration of our 4.1L project car. Rear features the rear of the car and 4.1L badge. American Apparel brand. 100% Cotton, made and screen pressed in the USA. Grey shirt with orange and black graphics. Please specify size when ordering. Some sizes may be out of stock or limited supply. Shirt may shrink slightly after washing. Domestic USA and Canada shipping is flat rate via USPS ($3). 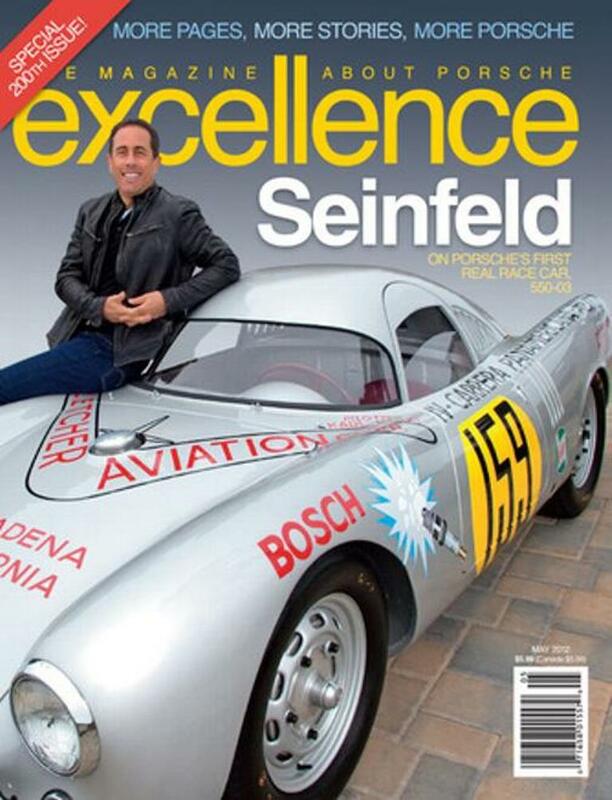 Enjoy the video @Jay Leno’s Garage, a real treat! SharkWerks 2011 Porsche 997 GT3 RS. This SharkWerks 2011 Porsche 997 GT3 RS proves how these Bay Area garagistas push their Porsches to the next level. Could it be the most outrageous GT3 in the States? SharkWerks, located in Northern California’s Bay Area, is owned by long-time Porsche enthusiasts James Hendry & Alex Ross (Sharky) and successful entrepreneurs Joan Wood & Daniel Kennedy. We live, breathe, own and drive Porsches. Out of the box Porsche has always delivered what we believe to be the world’s greatest daily driven sports car but for some people that just isn’t enough. We want more. We crave insane levels of horsepower, tightly tuned handling and breathtaking braking. We also like to look good doing it, which is why we offer performance, asthetic packages and lightweight products from EVOMSit, TechArt, Werks1, Tubi, RSS, Cargraphic, Brembo, Bilstein as well as wheels from Forgeline, HRE & Champion Motorsport. These are just some of our own personal favorite products but we also sell many other parts from different vendors and with our expert techs can install them on site. Because we love Porsche’s so much, we treat each and every one that comes through our doors as one of our own. We only offer and install components that have been tested on our own vehicles, including Shark Werks’ line of in-house developed products. That is our motto and we stand by it. It’s that simple. That is why we are thrilled to be Evolution Motorsports’ official reseller and installer in Northern California. Our performance kits offer gobs of power and fun for every level of enthusiast and have been tried and tested to guarantee perfection and satisfaction. Whether you want to be a race track rocketship or a street demon we can cater to your personal needs. Shark Werks Inc, is also one of very few places in the US that can open, rebuild and strengthen the 996TT, 997TT & GT3 engine with factory tooling and our own custom parts. Having downright naughty power, extremely tight handling and awesome stopping power isn’t something to take lightly. Let our panel of “been there and done it” friendly staff help you get where you want. Whether you’re looking for a mild tune up, a custom high horsepower modification package or a bit of service and TLC for your Porsche 996/997 feel free to contact us on (510) 651-0300, email us at info@sharkwerks.com or drop by the shop where you’ll usually find an enthusiastic customer/owner on site to talk things through with. For a list of the brands we carry please view this page. We recommend you browse through our Tuning & Modification Guides. …What YOU have been waiting for, Holiday Gift Idea! Is a new poster from Steve Anderson Illustrations / print release for the 2014 holiday season. 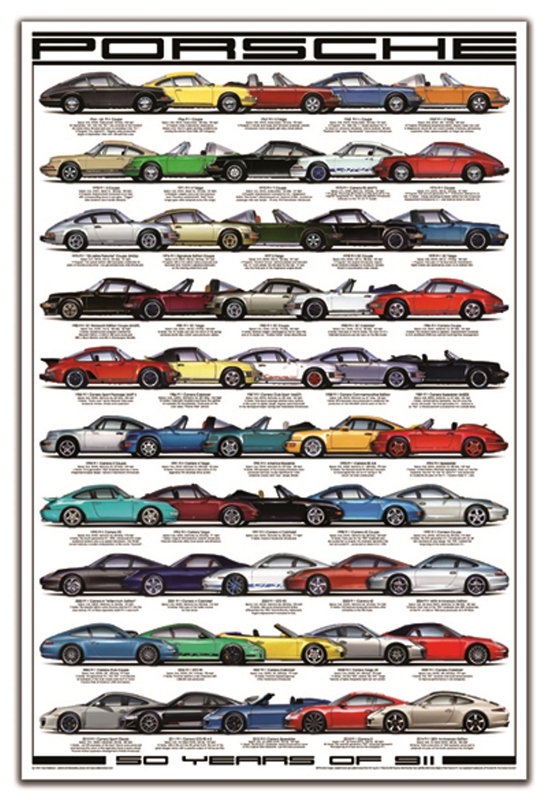 The print measures a generous w24″ x h36″ and features 50 original illustrations depicting the 911, from the original 901 Coupe to the recently introduced 991 Series “50th Anniversary 911” and everything in between. Readers of Excellence Magazine will be familiar with the work of Staff Illustrator, Steve Anderson, this series of original artwork has been painstakingly crafted and edited for this very special commemorative print. 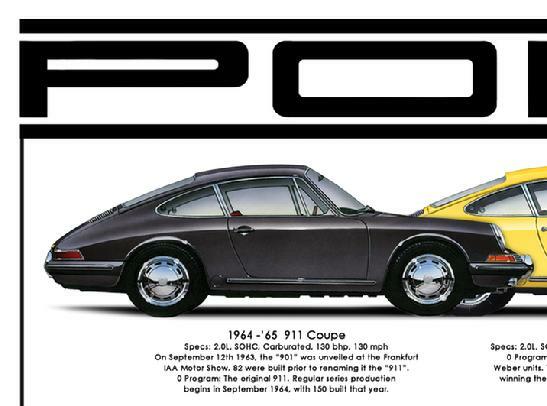 The print features 50 original illustrations, one for each year of 911 production. The images have been intricately crafted to show all of the period-correct body styles, colors, options and changes which have made the 911 the icon it is today. 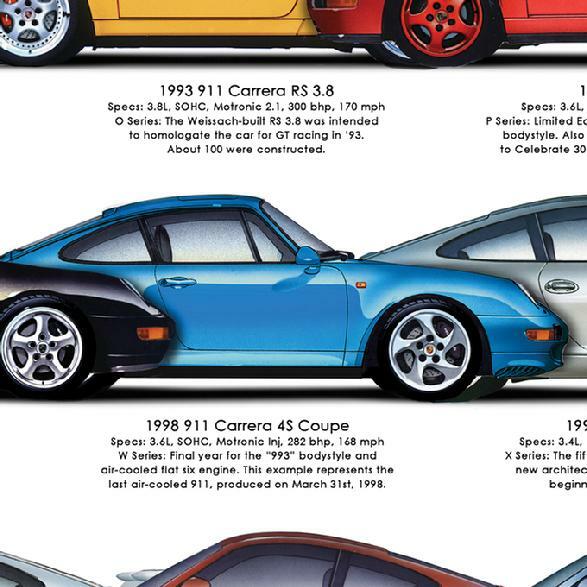 A short description and interesting factoids provide insight on the 911’s year-by-year development. The finished product is available in two finishes, a heavy weight poster and a Limited Edition fine art print a total of 911 artist-signed and numbered prints will be made available. Stuttgart. Porsche has been synonymous with legendary sports cars for over 60 years. 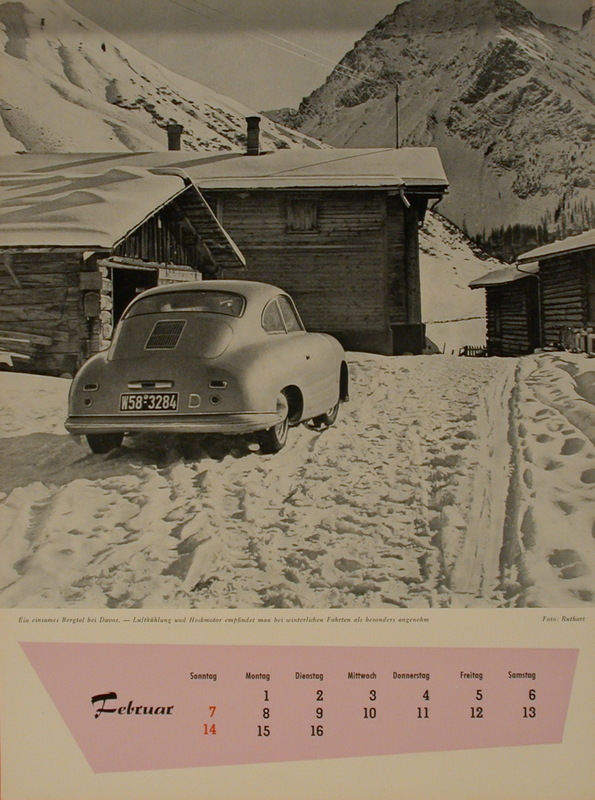 The Porsche Calendar has been a faithful companion to the brand and a coveted collector’s item since 1954. 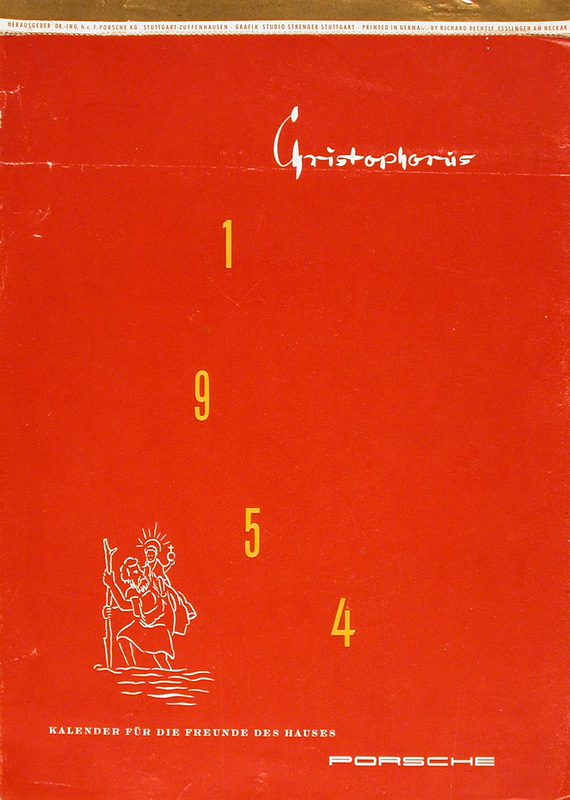 The first calendar published was a “Christophorus” edition in honour of the Porsche magazine. 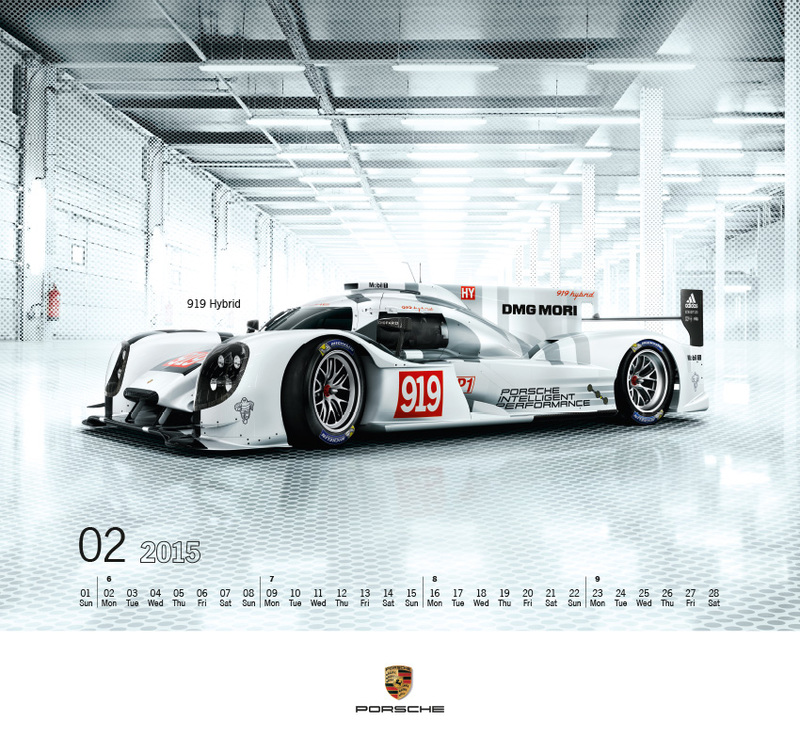 The new Porsche Calendar 2015 measures 59 cm by 55.5 cm and promises exceptional Porsche moments all year round. 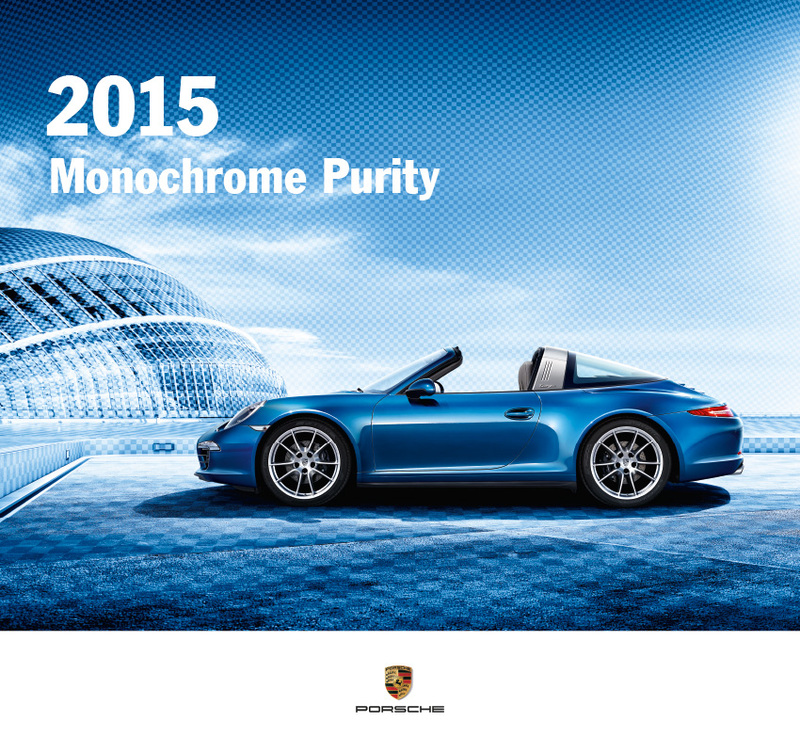 The calendar embodies passion for the sports cars from Zuffenhausen with this year’s theme, “Monochrome Purity”. Each image depicts a new world – inspired by the unique design of Porsche sports cars. The minimalist background ensures that the vehicles take centre stage. Each shot features a landscape that mirrors the vehicle’s paint finish to give a harmonious overall composition. The official Porsche Calendar is traditionally supplied with an exclusive 40-mm collector’s medal. This year’s medal is embossed on the front with the calendar title “Monochrome Purity” and the year, and the Porsche 919 Hybrid is on the reverse. The Porsche Calendar, complete with medal, costs EUR 39 and is available now in Porsche Centres worldwide or online atwww.porsche.com/shop. Awesome #Porsche 918 Spyder Test Drive ! Our friend, editor in chief Jakub Rejlek @Faster magazine pushed the Porsche 918 Spyder hard on some backroads near Stuttgart. CHECK it out! Love the DRIFTING at 1:30 – and be sure to TURN YOUR VOLUME UP and experience what it’s like behind the wheel. Enjoy! And thank you Jakub Rejlek! Tags: Autos & Vehicles, backroads, DRIFTING, Faster Magazine, Germany, Jakub Rejlek, Porsche, Porsche 918 Spyder, Stuttgart, Stuttgart-Zuffenhausen.